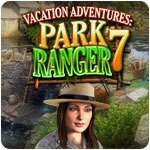 Vacation Adventures: Park Ranger 7 Game - Download and Play Free Version! An awesome great outdoors adventure! Spend a sensational summer helping the rangers run a stunning National Park. It's Charity Week with Pinecreek Hills better than ever before. Organize events on beautiful lakes, rivers and trails. Visit the new Colonial Village and breathtaking Tree House Lodge. Camp beside Golden Bayou, explore atmospheric waterfalls, enchanted caves and other gorgeous outdoor locations. Enjoy fabulous scenery, have campfires, spot bears and deer, see Pinecreek's historic buildings and landmarks. Help Rangers track down an unwanted poacher. 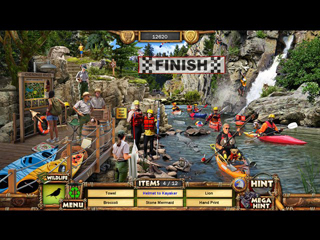 Play great hidden object levels and puzzles, spot 100's of animals, birds, fish and wildlife. Protect the environment and get souvenirs and awards along the way.